Most of us in the fitness community believe that exercise is medicine, and that consuming whole unprocessed food is the best way to nourish and energize our bodies. But the general population whom we serve has been convinced that they cannot enjoy good health without medical intervention. Thus, many of our clients and customers come to us with health conditions that are being treated with drugs. According to a recent study conducted by the Mayo Clinic, one in seven Americans is using some type of pharmaceutical. As people age, the number of drugs taken increases, yet metabolic disease continues to be on the rise. Medications can interfere with exercise strategies, and can prevent your client from achieving their weight loss goals. We need to be aware of the side effects of the drugs our clients are taking in order to understand their impact on performance and the client’s rate of progress. Many drugs interfere with energy production, and can slow your client’s weight loss. The Obesity Action Coalition lists diabetes drugs, antidepressants and other psychotropic and neurological drugs, blood pressure medications, steroids, antihistamines, and others as potentially contributing to weight gain. Pain killers and antidepressants can slow metabolism, meaning your client expends fewer calories per day. Even when your client exercises regularly and reforms the way they eat, they may make little or no progress toward their weight loss goals if their medications are counteracting their efforts. Pharmaceuticals can also interfere with muscle performance. Statin drugs prescribed to control cholesterol have been shown to impede the muscle cells’ ability to contract. Statin users may complain of muscle weakness and increased soreness after exercise. In some cases, heavy exercise can lead to rhabdomyolysis, a life-threatening condition wherein the muscle cells are destroyed, leaking myoglobin into the blood stream and damaging the kidneys. Many exercisers take analgesics and painkillers to manage muscle soreness. Masking pain sensors can be dangerous when exercising, allowing you to ignore signs of tissue damage and potential injury. Many pain killers are narcotic, and can lead to addiction. In some cases, medicine is necessary in order for a client to exercise. Type I diabetics are dependent on regular insulin injections to regulate blood sugar. Asthmatics may rely on corticosteroids and bronchodilators to open up constricted airways. If medications are necessary for exercise performance, educate yourself on your client’s condition so that you can help them manage episodes that may occur during exercise. Before you begin training a new client, request a complete and thorough list of the medications they are taking. 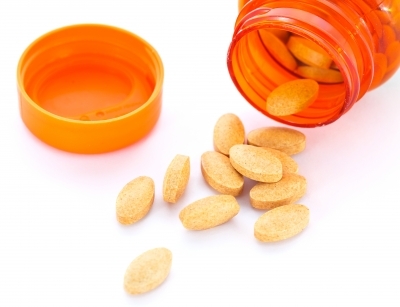 Do your research to see how those medications may influence performance and weight management. As a fitness professional, you cannot and should not advise your clients to discontinue taking medicine prescribed by their doctor. You can, however, educate your clients about the potential side effects of their medications, and you can encourage them to discuss alternatives with their health care provider.